This 230 SX just had maintenance completed on this vessel at the cost of $3650. The impellers were changed; basically, everything that can be done was. It has snap in carpet and a bimini top. This Yamaha jet boat is ready to go Stock #154684 This vessel was SOLD on March 25. If you are in the market for a jet boat, look no further than this 2007 Yamaha 230 SX High Output, just reduced to $20,000 (offers encouraged). 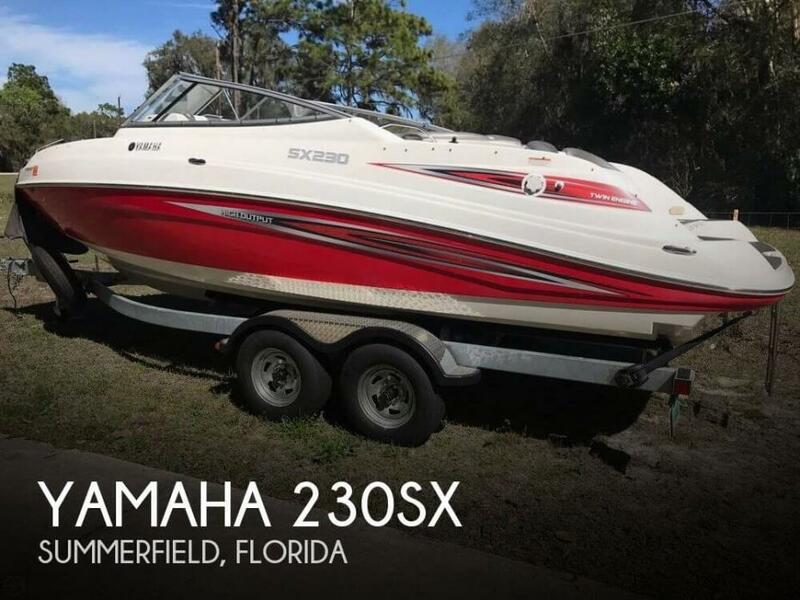 This boat is located in Summerfield, Florida and is in great condition. She is also equipped with twin Yamaha engines that have only 37 hours.